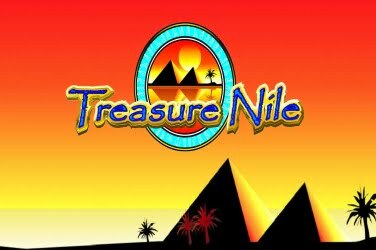 Created by microgaming to appear in their online casinos, the Treasure Nile 5 reel progressive video slots game is popular among players from around the globe. 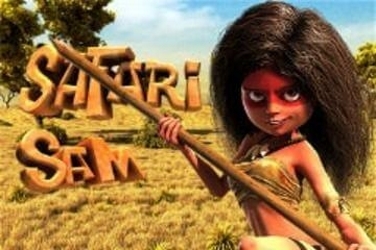 As the name suggests, the game has an Egyptian theme and can provide up to 9 winning pay-lines across its 5 reels. 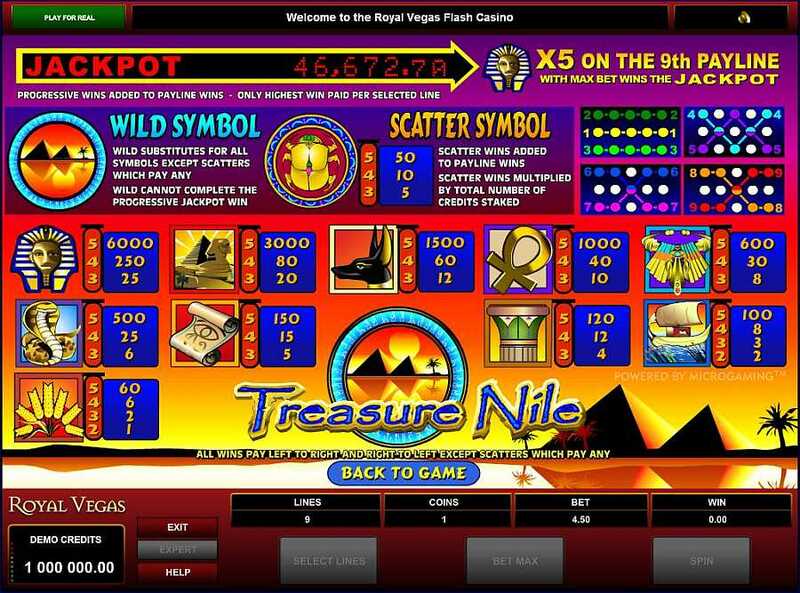 The graphics used in the Treasure Nile slots game are clear and shown in bright colors. There is also a gentle yet appealing background tune playing during the game. Symbols that are found in the Treasure Nile slots game include Wooden Boats, Ancient Scrolls, a Cobra, Golden Necklaces, The Sphinx, The Anubis, and The Ankh. A Scarab is used as the games Scatter symbols, while an Egyptian Pyramid is the Wild. 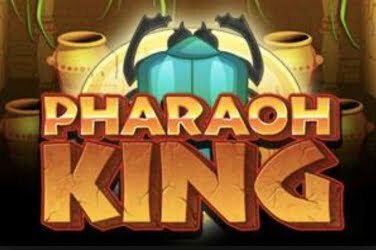 A jackpot symbol of a Pharaoh can also be found when playing the Treasure Nile slots game, which will pay-out the games progressive jackpot amount. There are also smaller jackpot amounts of 6000 and 3000 available to the player to increase their final pay-out figure. There is a fixed coin size of 0.50 in the Treasure Nile slots game, with the maximum wager set at 4.50. The Scarab Scatter symbol in the Treasure Nile slots game can help to create more winning combinations. 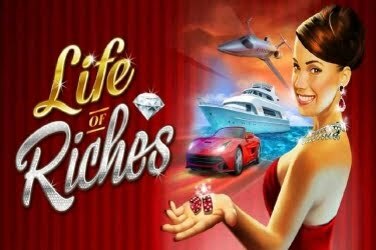 They can be found on any of the 5 reels of this Microgaming online casino game, making it easier for players to increase their final pay-out amount. An Egyptian Pyramid is used as the Wild symbol upon the reels of the Treasure Nile slots game. As it is able to change any symbol other than the Scatters, it can generate winning play lines across the 5 reels of the game. 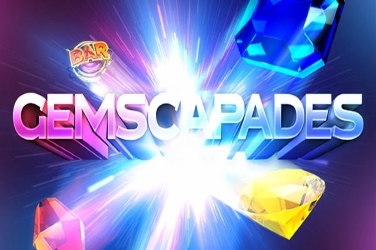 However, it does not provide the usual Multiplier that are found on other Microgaming slots games. $40,000 is the starting amount of the progressive jackpot that the Treasure Nile slots game offers. Players from around the world can see the amount increase until someone spins 5 of the Jackpot Pharaohs symbols upon the 9th winning payline. 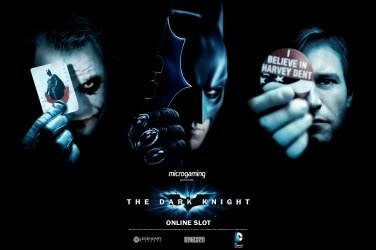 This particular microgaming online casino slots game does not provide Free Spins, or a Bonus Gamble Round. However the progressive jackpot does entice players of all levels to play the Treasure Nile slots game. A fixed coin amount of 0.50 can be placed upon any of the 9 winning paylines in the Treasure Nile slots game. 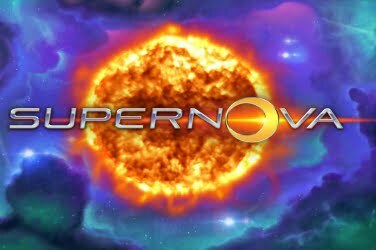 With a maximum bet amount set at 4.50, the game can appeal to players of all levels. As the reels spin, players are hoping to generate as many winning combinations as possible to add to their pay-out figure. These can also be created when the Scatters and Wilds of the Treasure Nile slots game are spun. There are numerous jackpot amounts that are awarded when playing the Treasure Nile slots game. The highest of these is 6000 coins which is awarded when 5 of the Pharaohs appear on any payline other than the 9th. This is reduced to 3000 for the second highest jackpot figure which requires 5x The Sphinx symbol to be spun. When 5 of the Anubis or Ankh symbol are found upon the reels of the Treasure Nile slots game, 1000 coins are awarded. To be able to win the progressive jackpot that the Treasure Nile slots game offers, then the Pharaoh symbol must be found upon the reels of this online casino game. When they appear upon the 9th winning payline, all players around the world are notified. The jackpot amount is then reset to the minimum of $40,000. This high progressive jackpot amount makes the Treasure Nile slots game a popular choice with enthusiasts of online casino games. 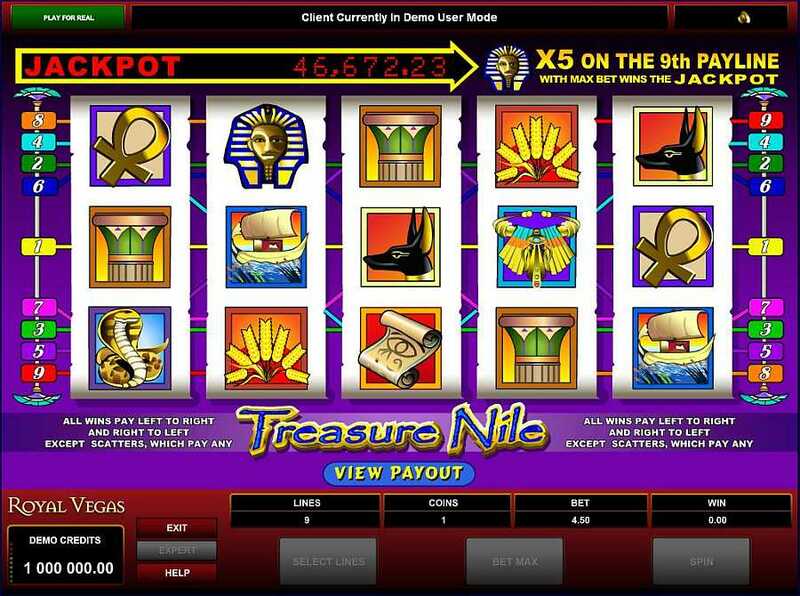 The Treasure Nile slots game has additional features when played in Expert Mode. There is the Quick spin button which can increase the speed of which the reels are spun. Also, players can set the game into Auto Play whereby the reels are spun automatically if they are busy with other things.